Canadian Solar is a vertically integrated company, providing ingots, wafers, solar cells, solar modules, solar power systems and specialized solar products. Headquartered in Canada, the company has factories in China and Ontario with wide customer base covering over 50 countries. Canadian Solar also offers customized PV products and OEM service around the world. The company sells panels at quite cheap prices. Solar Frontier is a Japanese company which was earlier known as Showa Shell Solar. The company joined the rank of major solar companies once it started the new 900MW “Kunitomi” production plant in Miyazaki. Solar Frontier manufactures CIS (copper, indium, selenium) thin-film solar modules for customers all around the world. The company has offices in Europe, the USA, and the Middle East, with headquarters in Tokyo. Solar Frontier modules have conversion efficiency of 11.8% to 13.4%. Their “Light soaking” effect increases the output after installation. They are Cadmium- and lead-free. Solar Frontier uses recyclable substances as packing material and are cardboard free. They use the CIS technology in module manufacturing. Solar Frontier Modules can be conveniently used for residential, commercial and utility purposes. They are thin film modules. Solar Frontier modules have a standard weight of 20 kgs, whereas Canadian Solar panels have weight in the range of 15.5 kg – 27 kg. 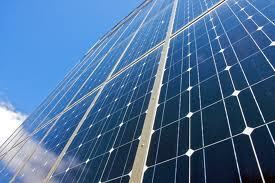 Anodized aluminium alloy frame is used in Canadian Solar panels. The BIPV modules of Canadian Solar have no frame. The Solar Frontier modules come with an anodized aluminium frame, that is black in color. Canadian Solar panels can withstand upto 5400 pa wind speed and snow load whereas for Solar Frontier modules, the load resistance is ~2400 pa.
Canadian Solar Panels come with 10 years product warranty (materials and workmanship) and 25 years linear module power output warranty. Solar Frontier gives a 25 year extended warranty on all its solar panels. These Solar Panels are reinsured by the German insurance giant Munich Re, which means in case if Solar Frontier goes out of the solar panel business, Munich Re will insure that the warranty holds good. This is better than the standard warranty given by solar panel manufactures. Solar Frontier solar modules have PTC/STC rating over 90% and are also UL, JET and RoHS compliant. Canadian Solar panels come with the top ranked PVUSA (PTC) rating in California for higher energy production. Read more technical details about the respective solar panels here: Canadian Solar and Solar Frontier. Read comparison of other brands here.